See who's coming to Bare Lit 2019. We're still updating this list, so check back soon! Mary Watson is from Cape Town and now lives on the West Coast of Ireland with her husband and three children. Highlights of her adult writing career include being awarded the Caine Prize for African Writing in Oxford in 2006, and being included on the Hay Festival’s 2014 Africa39 list of influential writers from sub-Saharan Africa. The Wickerlight is her second book for young adults, following The Wren Hunt. Micah Yongo is a UK-based writer and videographer. When he’s not writing articles he can be found lamenting the often rainy weather in his beloved hometown of Manchester, working on his true passion – fiction writing – or blogging about the varied things that make the world and those who live in it tick. He is also the author of Lost Gods and it’s soon to be released sequel, Pale Kings: ancient Africa and Middle East-inspired epic fantasy novels about betrayal, hidden mythologies and adolescent assassins. Roma Agrawal MBE is an award-winning structural engineer who builds big. From footbridges and sculptures, to train stations and skyscrapers – including The Shard – she has left an indelible mark on London’s landscape. She is a tireless promoter of engineering and technical careers to young people, particularly under-represented groups such as women. She has given talks to thousands around the world at universities, schools and organisations, including two for TEDx. She is a television presenter, and writes articles about engineering, education and leadership. Her first book, Built, was published by Bloomsbury to glowing reviews in February last year. Kia Abdullah is an author and travel writer from London. She has contributed to The New York Times, The Guardian, BBC and Lonely Planet, and is the founding editor of outdoor travel blog Atlas & Boots, read by 200,000 people a month. Kia's new novel, Take It Back, is published by HarperCollins in August 2019. 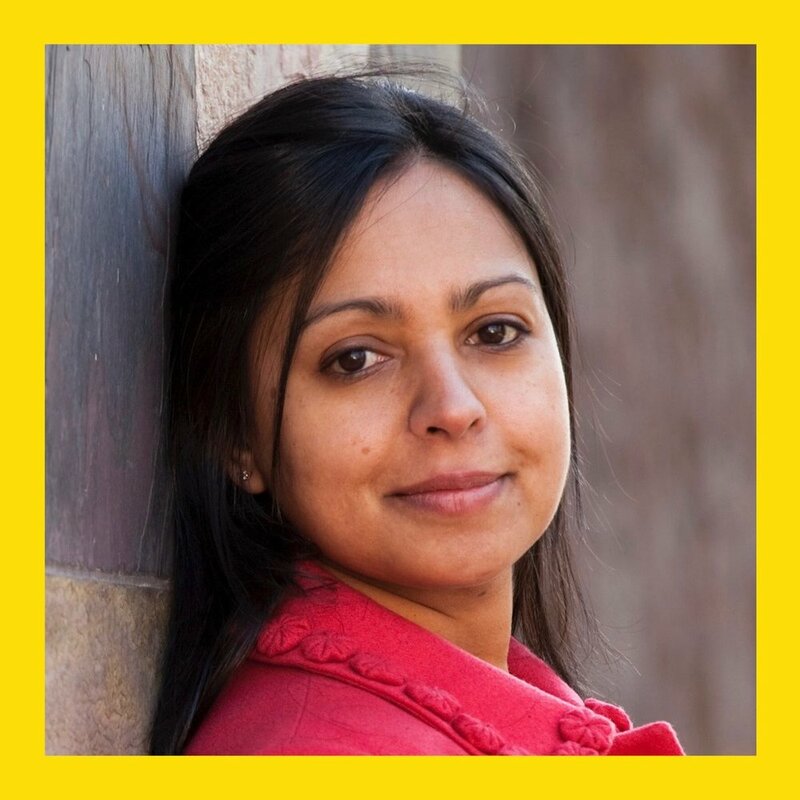 Monisha Rajesh is a British journalist whose writing has appeared in Time magazine, The New York Times, The Guardian and The Sunday Telegraph in which she wrote a column about her journey Around the World in 80 Trains. Her first book Around India in 80 Trains (2012) was named one of The Independent's best books on India. Born in Norfolk and mostly raised in Yorkshire - with a brief stint in Madras - she currently lives in London with her husband and daughter. Travis Alabanza is a writer, performer and theatre maker. In the last two years their work has been noted by many as carving new conversations around the intersections of race and gender, with MOBO, Artsy and Dazed listing Alabanza as one of the most prominent emerging queer voices. As well as being a 2017/18 resident artist at the Tate Galleries, and starring in shows such as Jubilee (Royal Exchange), Their work has appeared in publications such as Guardian, Huck Magazine, Dazed and BBC. Their recent theatre show Burgerz sold out to critical acclaim and was voted one of the best readers choice shows in the Guardian 2018. Zing Tsjeng is journalist and author from London. She is the UK editor of Broadly, VICE's website for women. In 2018, Octopus published her four-book series Forgotten Women. Each book in the series explores the untold stories of inspiring women who have been marginalised from history. She is also a presenter for VICE and has appeared on BBC Woman's Hour, the Victoria Derbyshire Show, and others. Titilola Dawudu is a writer, editor and theatre maker. 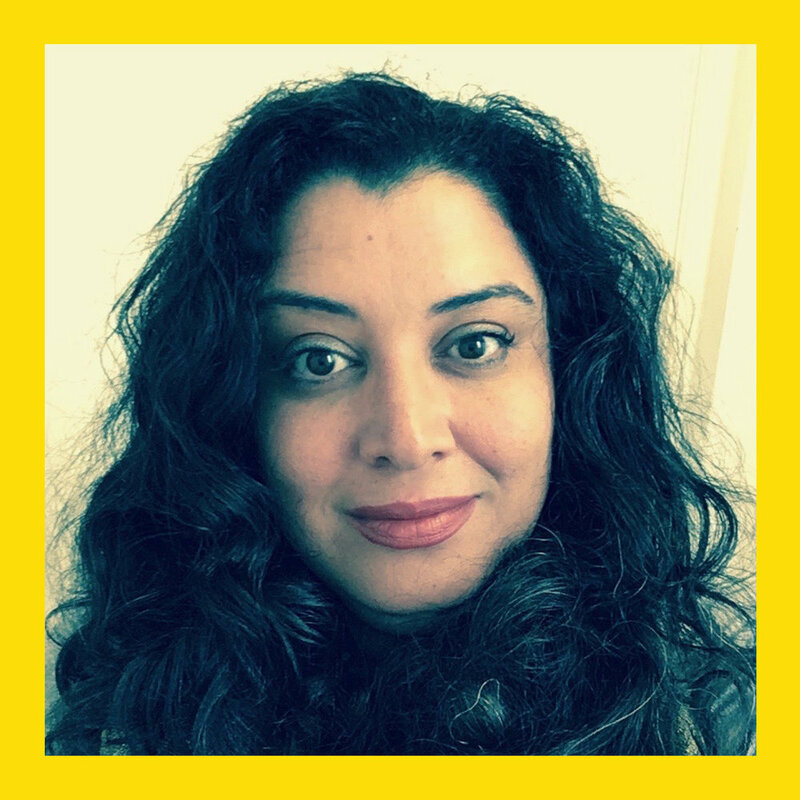 She is a trustee for Theatre Centre and is an Associate Writer for Beyond Face. Her plays and monologues have been performed at Theatre Royal Plymouth, Theatre Royal Arojah in Abuja, Nigeria, Soho, the Bush, and the Arcola. She is currently on commission with Theatre Peckham. She mentors women and won the Mentor of the Year at the Women of the Year awards. Titilola has edited ‘Hear Me Now Audition Monologues for Actors of Colour’ in partnership with Tamasha, published by Oberon Books with a second volume in development. 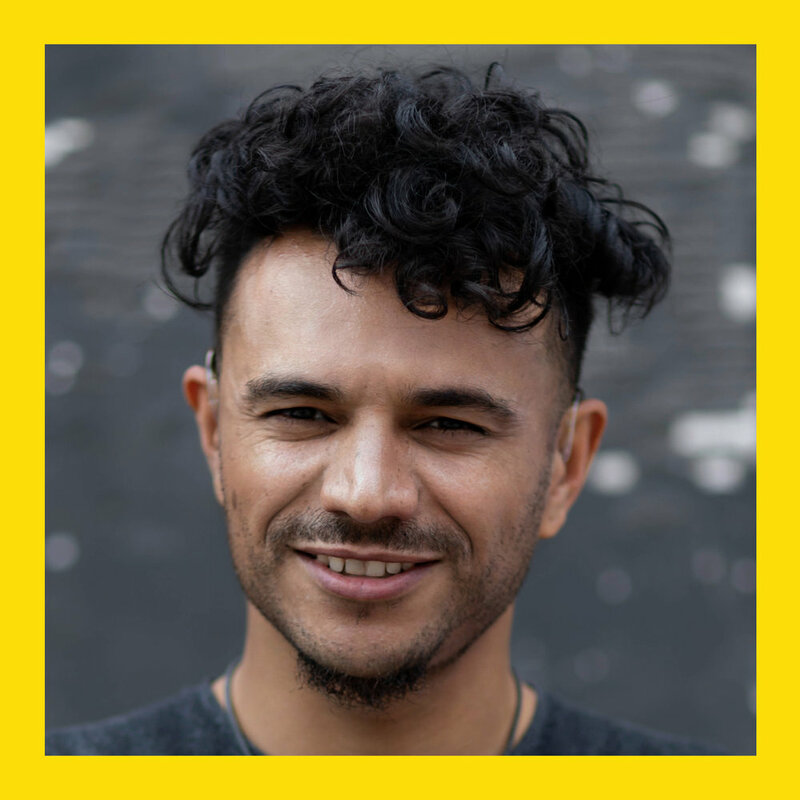 Raymond Antrobus is a British-Jamaican poet. He is the author of To Sweeten Bitter and The Perseverance which was a Poetry Book Society Winter Choice and a Sunday Times / The Guardian poetry book of 2018. He is the recipient of fellowships from Cave Canem, Complete Works 3, Jerwood Compton Poetry. He has an MA in Spoken Word education from Goldsmiths. 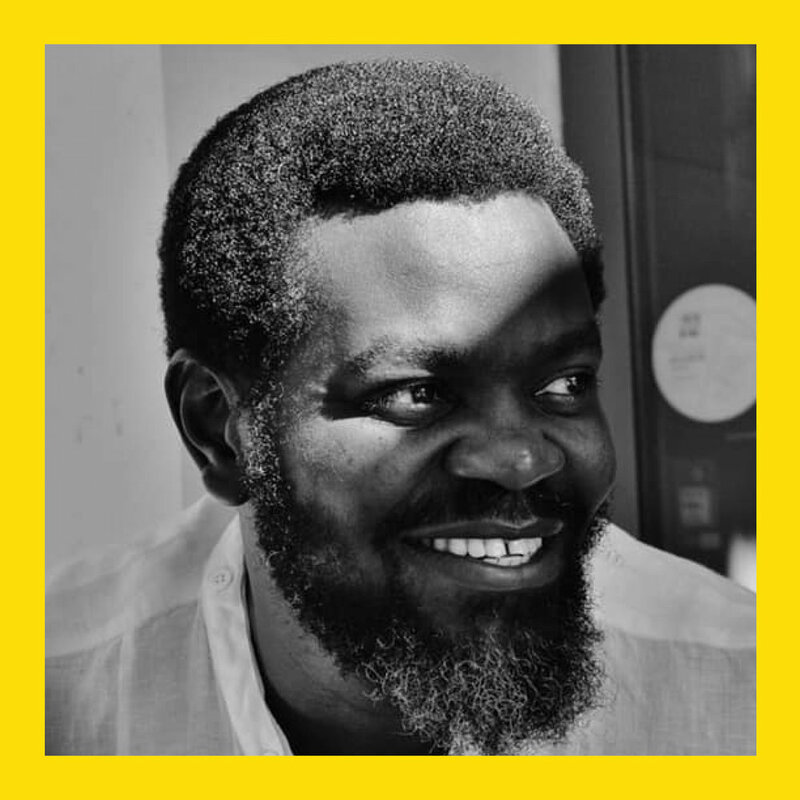 In 2018 he was awarded 'The Geoffrey Dearmer Prize’ and was recently awarded for the Ted Hughes Award 2019 for innovation in poetry. Hanna Ali is an author who recently published her debut short story collection titled The Story of Us. Hanna is a former Radio Presenter and was listed as number 4 in Buzz Feed’s “21 Black British Muslims You Should Know About” and was a part of Trailblazing Muslim Women 2018. 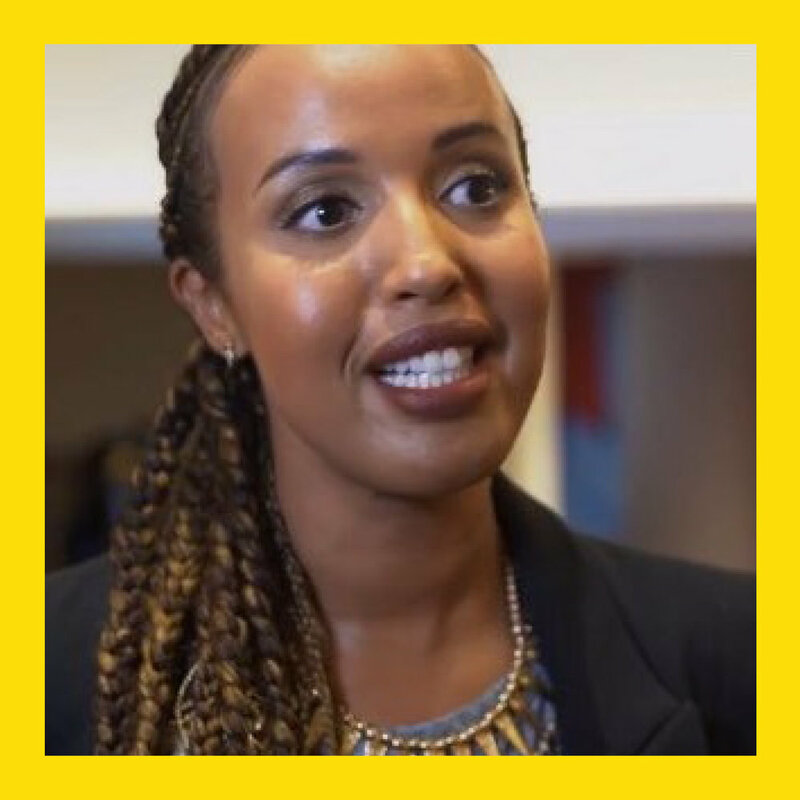 She is the Festival Director of Somali Week Festival and is a PhD Candidate and Teaching Fellow at SOAS, University of London. Leo Boix is an award winning Latinx poet and translator born in Argentina, who lives and works in London, England. His poetry was included in many anthologies, such as Ten: Poets of the New Generation (Bloodaxe) and Contemporary British Poetry (Platypus Press). Boix’s poems have appeared in POETRY, PN Review, The Poetry Review, Modern Poetry in Translation, The Manchester Review, The Rialto, Litro, Magma, PRISM International, The Morning Star, Letras Libres, The Laurel Review, among others. He is a fellow of The Complete Works Program and co-director of ‘Invisible Presence”, a UK national scheme to nurture Latino-British poets. Sharlene Teo's debut novel Ponti won the inaugural Deborah Rogers Writer’s Award, was shortlisted for the 2018 Hearst Big Book Award and the 2019 Edward Stanford Award for Fiction with a Sense of Place, and was longlisted for the 2019 Jhalak Prize. 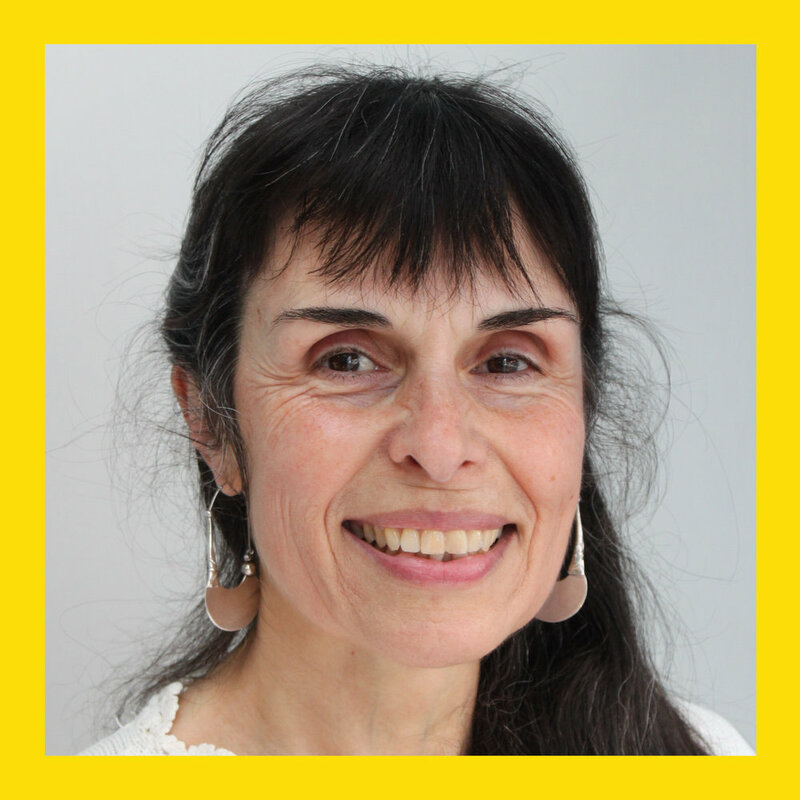 Marina Sanchez is a Latinish mix of Native American/Spanish/British and an award-winning poet and translator, widely published in literary magazines and international anthologies. She has been awarded several prizes at national and international competitions. Her pamphlet Dragon Child (Acumen, 2014), was Book of the Month in the poetry kit website. In spring 2018, she was selected as one of ten members of the Latin American writers’ programme, Invisible Presence. They performed to a full house at the Round House in June and November 2018. For more information, you can go to her pages in the poetry pf website. Leone Ross writes fiction. Her first novel, All The Blood Is Red was long-listed for the Orange Prize; her second novel, Orange Laughter was a BBC Radio 4 Women’s Hour Watershed Fiction favourite. The Times Literary Supplement called Ross, 'a pointilliste, a master of detail…’ Her short story collection, Come Let Us Sing Anyway (Peepal Tree Press, 2017) was nominated for the 2018 Jhalak and Edge Hill Prizes, the OCM BOCAS Prize for Caribbean Literature and awarded runner-up in the 2018 Saboteur Awards. Ross teaches at Roehampton University in London. She is an editor and a writing competition judge. Shiromi Pinto’s first novel, Trussed, was reviewed as ‘audacious’ (The Independent), ‘brilliant’ (Diva) and ‘so cool that it hurts’ (The Times). She has written for BBC Radio 4, the V&A, opendemocracy.net and the Guardian. She is currently a Creative Manager at Amnesty's International Secretariat in London. Jill Johnson, born in Singapore, has lived in South East Asia, Europe and New Zealand. She has owned an editorial cartoon gallery, a comic shop and has been involved in a graphic novel publishing house. At the tender age of 51, and after two degrees, three children and five businesses, Jill has finally found the time to write her debut novel, The Time Before The Time to Come (Own It!) which was selected as one of Alex Clarke’s Rising Stars at Stoke Newington Literary Festival. She graduated from the Faber Academy and has appeared on BBC Radio 4. Syrian-Dutch novelist and former BBC journalist Rana Haddad grew up in Syria then moved to the UK at the age of 15. She studied English Literature at Cambridge University and then worked as a freelance journalist and producer in London and also published poetry. The Unexpected Love Objects of Dunya Noor is her first novel, an original, fresh, poetic depiction of Syria during the last decades of the 20th Century through the playful, satirical, artistic and rebellious curly-haired character of its young heroine who does all the things her parents, society and even government do not want her to do! 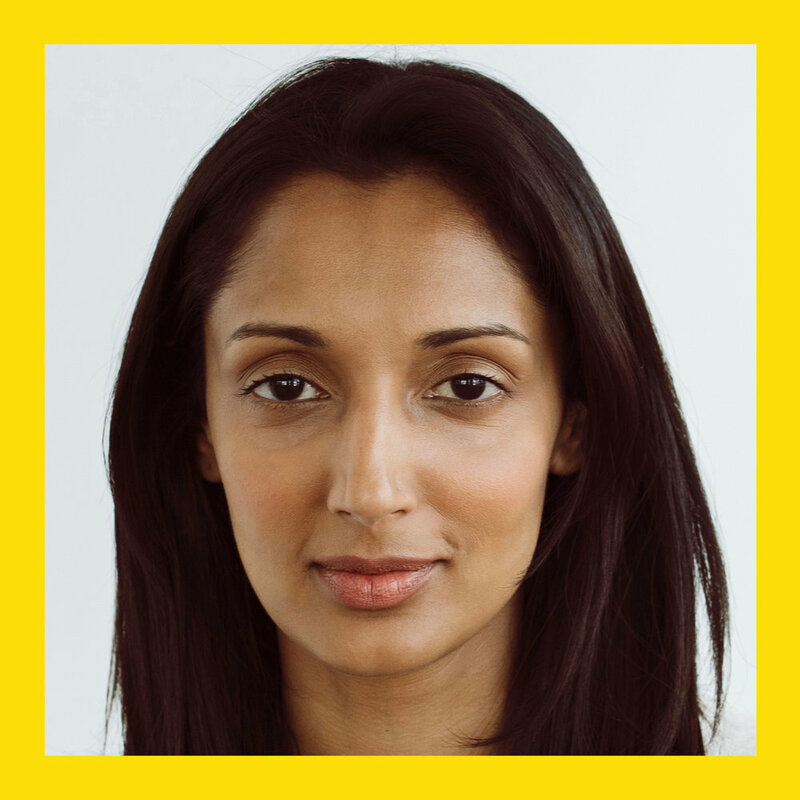 Alpa Shah was raised in Nairobi, studied at Cambridge and completed her PhD at LSE where she now teaches anthropology. She is the author of Nightmarch: Among India’s Revolutionary Guerrillas (2018), In the Shadows of the State: Indigenous Politics, Environmentalism and Insurgency in Jharkhand, India (2010) and lead author of Ground Down by Growth: Tribe, Caste, Class and Inequality in 21st Century India (2018). She has made a documentary on ‘India’s Red Belt' for BBC Radio 4’s 'Crossing Continents' and featured on other BBC radio programmes including ‘'From Our Own Correspondent', 'Thinking Allowed', ‘Four Thought’ and ‘The World Service Weekend’. 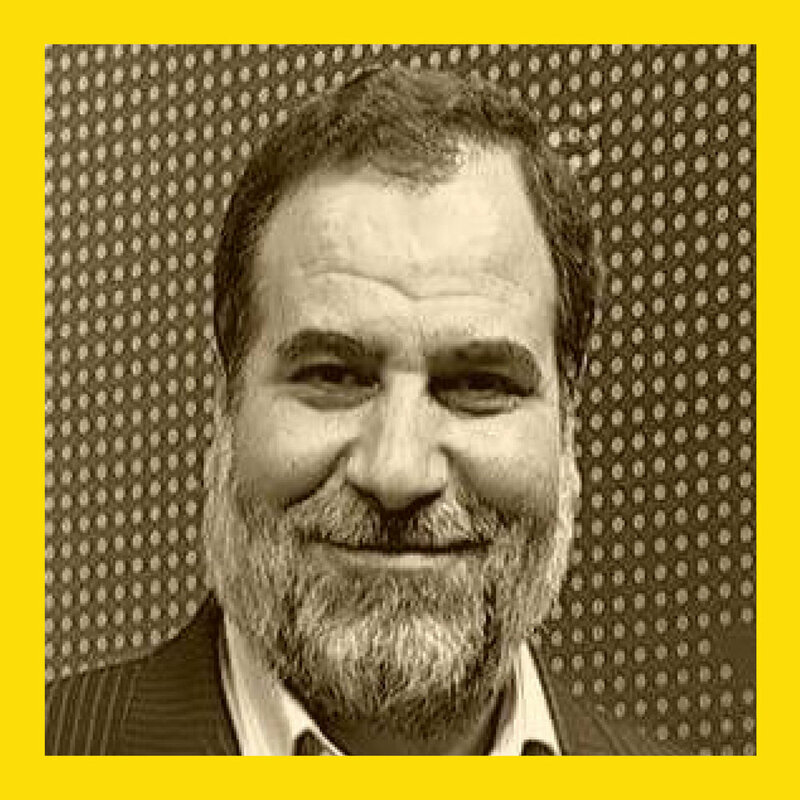 Tam Hussein is an award winning investigative journalist and writer. His work appears in major publications including the Guardian, New Statesman, New Internationalist, The Majalla, Tunisia Live, Sharq Al-Awsat, Egypt Today and others. He has broken exclusive stories with BBC Newsnight, ITV News, Channel 4 News, NBC and others. He is a consultant with various NGOs and his work has been cited by policy think thanks and major news publications such as the New York Times. He is currently working as a specialist producer/video journalist for various national and international broadcasters. He is the co-author of To The Mountains My Life in Jihad from Algeria to Afghanistan (Hurst) and also the writer of Travels of Ibn Fudayl by George R Sole (Darf). Trailblazing broadcaster & pioneering music chameleon, DJ Ritu is the voice of the definitive global music show, ‘A World in London’. Her career began in 1986 as a Soul/Disco/Pop DJ in London, and has led to over three decades of record-spinning in 32 countries as a solo artist and band-leader of Sister India and The Asian Equation. 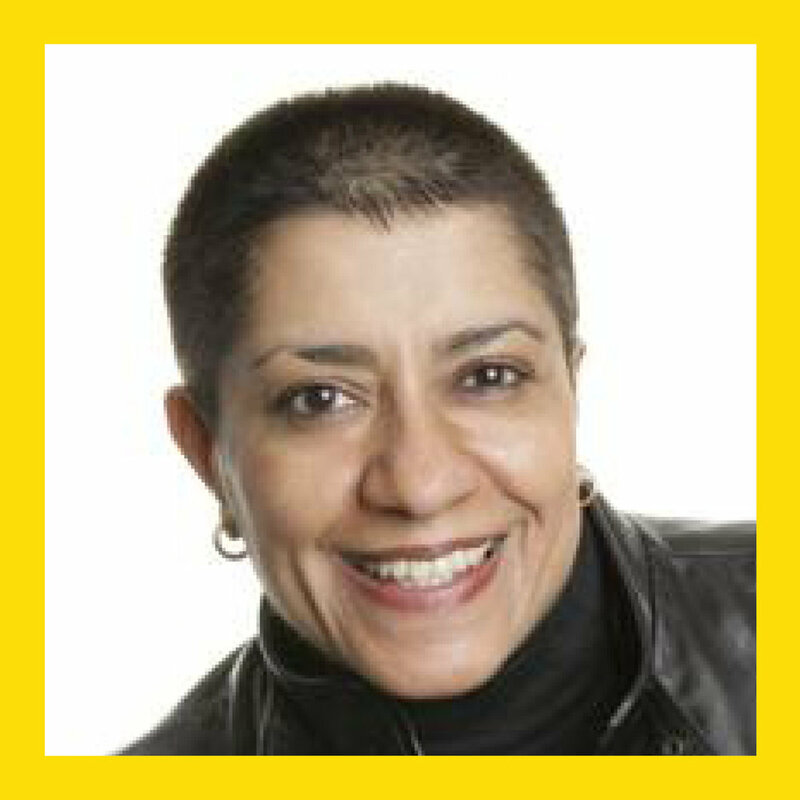 A BBC presenter for two decades at BBC London, World Service, plus Kiss FM, National Swedish Radio, and WDR Germany, Ritu is the co-founder of cult label Outcaste Records, a Rough Guides CD compiler and the artistic director of the world’s two longest-running club nights – Club Kali and Kuch Kuch Bollywood Nights. Novuyo Rosa Tshuma grew up in Zimbabwe, and has lived in South Africa and the USA. She is a graduate of the Iowa Writers' Workshop. Her short fiction has been featured in numerous anthologies, and she was awarded the 2014 Herman Charles Bosman Prize for the best literary work in English. Her debut novel, House of Stone, is shortlisted for the International Dylan Thomas Prize and longlisted for the Rathbones Folio Prize. 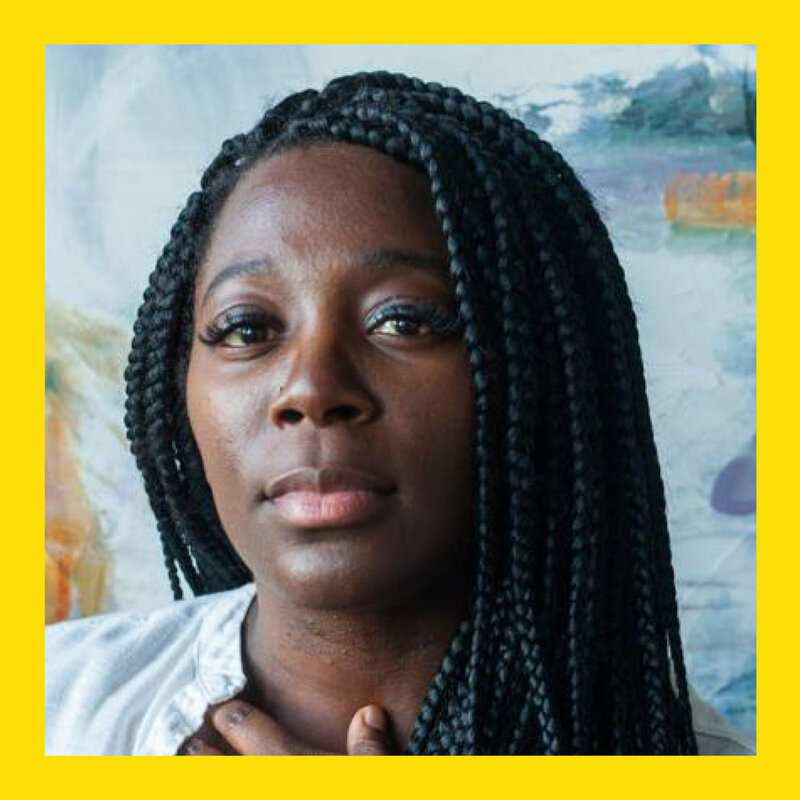 Born in London to a Bolivian mother and Jamaican father, Alba Frederick is a poet who uses language to rediscover her dreams and memories. She is a Creative writing graduate whose work explores bilingualism and the triumph of the human spirit. During her time with the Invisible Presence familia, Alba has enjoyed meeting new writers, reading new poetry, and bringing her poems to a wider audience and to the stage. Bisi Adjapon is the author of Of Women and Frogs. Her writings have appeared in journals and newspapers including McSweeney’s Quarterly, Washington Times, Daily Graphic and Chicken Bones. Her short story version of Of Women and Frogs was nominated for the Caine Prize. As an International Affairs Specialist for the U.S. Foreign Agricultural Service, she won the Civil Rights Award for Human Relations, and a Strategic Objective Award. She holds degrees in French and Spanish and has taught and managed projects in Latin America and Africa. Currently, she divides her time between Ghana and America. Kevin Le Gendre is a journalist and broadcaster with an interest in black music, literature and culture. 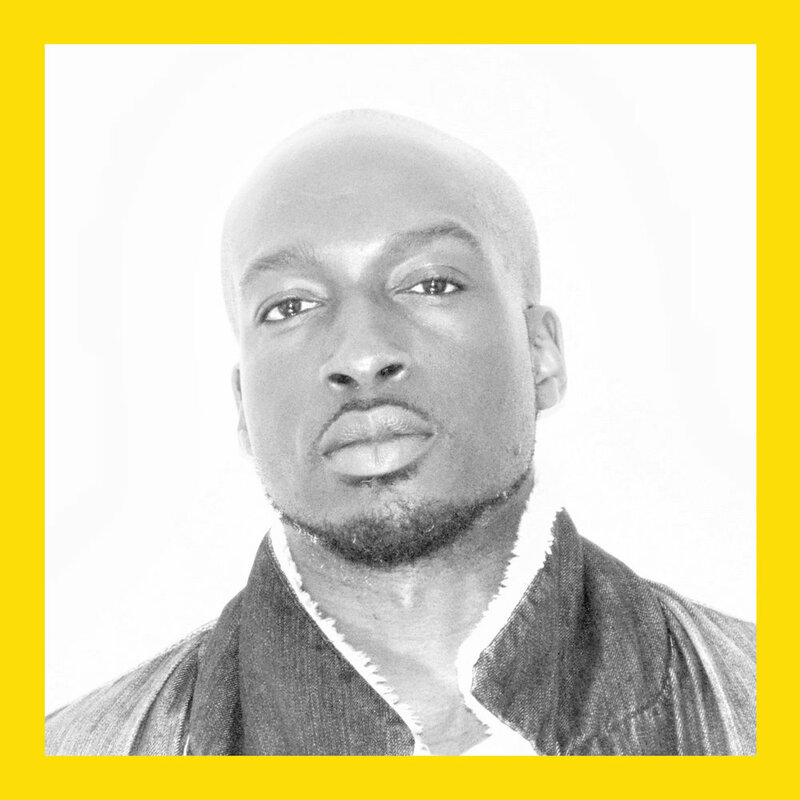 Since the late ‘90s he has written about soul, jazz, African and Caribbean musicians and authors for a wide variety of publications that includes Echoes, Jazzwise, and The Independent. He contributes to Radio 4’s Front Row and is also a presenter of Radio 3’s J To Z. His latest book is Don’t Stop The Carnival; Black Music In Britain. Easy Motion Tourist won the 2016 Prix Marianne. In 2017 he was a finalist for the prestigious CWA short story dagger award for his story, The Assassination, in the anthology, Sunshine Noir. He has also contributed a short story to Lagos Noir of the Akashic Noir Series, 2018.